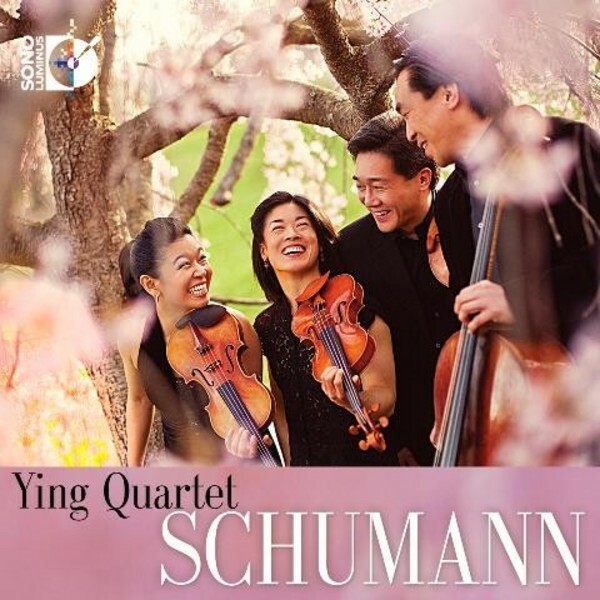 The Ying Quartet occupies a position of unique prominence in the classical music world, combining brilliantly communicative performances with a fearlessly imaginative view of chamber music in today�s world. Now in its second decade as a quartet, the Quartet has established itself as an ensemble of the highest musical qualifications in its tours across the United States and abroad. Their performances regularly take place in many of the world�s most important concert halls, from Carnegie Hall to the Sydney Opera House. At the same time, the Quartet�s belief that concert music can also be a meaningful part of everyday life has also drawn the foursome to perform in settings as diverse as the workplace, schools, juvenile prisons and the White House. In fact, the Ying Quartet�s constant quest to explore the creative possibilities of the string quartet has led it to an unusually diverse array of musical projects and interests. As quartet-in-residence at the Eastman School of Music, the Ying Quartet maintains full time faculty positions in the String and Chamber Music Departments. Schumann's three string quartets were all written in just a few weeks in the summer of 1842, and his writing for strings is, for better or worse, rather pianistic. It is unfortunate that some would dispatch the significance and beauty of these works so easily. Though there are passages and textures in the quartets that are clearly influenced by keyboard technique, this is glorious music. The imagination and wit, vitality and virtuosity, subtlety and nuance, and heartfelt yearning and emotion that are displayed throughout the quartets are enough to be as satisfying as any of Schumann�s music. Each one of them is a joy to perform. Since all of the quartets were written in just a few short weeks, it is interesting to take them as a set and consider the similarities and differences between each of the corresponding movements. For example, all three of the first movements are primarily gentle in nature and convey a sense of unfolding, though there are dynamic and energetic moments within. None of them begin with forceful, dramatic intensity to grab an audience - instead, Schumann uses an intimate quality and a sense of drawing the listener in to define the emotional world of these quartets.